This page serves to answer some of the common questions we hear in the office. If you don’t see your questions below, or you want further explanation please contact someone on Our Staff or call the office directly at 317-392-5102. Can I Do Work On My Own Home, If I Live In The Home? Yes, you may pull a permit and complete most work yourself. You must both own and live in your home to qualify for any homeowner exemptions that exist in state and local law, otherwise a licensed contractor will need to complete the work. Current and future owners of the building are entitled to knowing that the work completed in the home was done correctly and inspected for their safety. A permit is a way of providing reasonable controls for the design, construction, use, occupancy, and maintenance of buildings, their facilities, and various components. When these proper precautions are taken, property values in the surrounding area are positively affected. The permit document shows that a building project is being constructed under processes for ensuring code compliance and public safety. 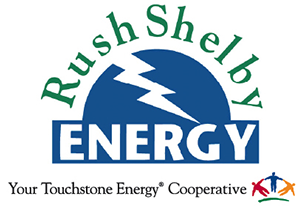 Communities like Shelbyville that have adopted the Indiana State Building code, and therefore the need for permitting and inspections, have lower costs for renters and homeowners insurance due to the fact that a larger percentage of the structures in the community are compliant with building codes designed for public safety. Building, Improvement Location, and Right-Of-Way permits typically take 3-5 days, while most other permits are issued immediately. Those permits that take longer to review are typically more complex projects that require more time to properly review the submitted documents against building and zoning codes. Permit applications and information about contractor registrations can be found here. No, but the City has adopted standards with which the fence must be built. These standards are outlines in the Unified Development Ordinance, for the section of the code that pertains to fences, follow this link. 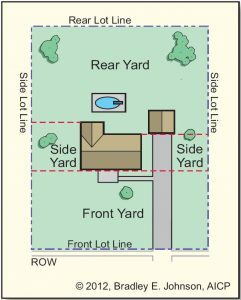 Where Can I Build A Fence? For all other zoning districts, and to see the exact language in the Unified Development Ordinance, follow this link. How Tall Can Grass Be Before It Is Required To Be Cut? Grass can be 10 inches tall before it is required to be cut. Overgrown lawns attract animals such as snakes, rodents, deer, and mosquitoes. These animals are, unfortunately, a nuisance when found in the City. Overgrown lawns are also unsightly and can negatively affect property values of the entire neighborhood. Do I Need A Permit For A New Carport, Mini-barn, Shed, Or Other Accessory Structure? Yes, any structure over 200 square feet needs both a building permit and an Improvement Location Permit. , any structure under 200 square feet only requires a location improvement permit. Permit applications and information regarding who can submit for a permit can be found by following this link. Yes, but as a protection for your neighbors, the City has adopted general standards that a home-based business (Home Occupation) must follow. Those standards are part of the Unified Development Ordinance, but specifically they can be found here. 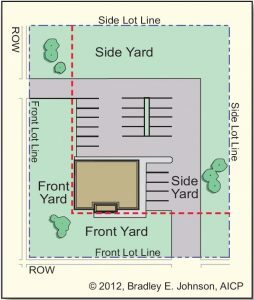 Each property in the City’s Planning Jurisdiction is given a zoning district classification, and those classifications are represented on the Official Zoning Map of the City of Shelbyville. This map is also available on the Shelby County GIS Portal, as an interactive map. How do I get a meter back on a building after it has been removed by Duke Energy? 1. Contact a licensed electrical contractor to pull a reconnect permit. 2. After the contractor has pulled a permit, they will perform the work to ensure the meter base is properly installed and connected according to current codes. 3. The contractor will then call a City Inspector to inspect the work and report to Duke that a meter can be placed on the building again. How Do I Get Power Turned Back On If I Still Have A Meter on My Building? Contact your electric company directly, they will be able to start a new account and schedule to get your electric service turned back on.